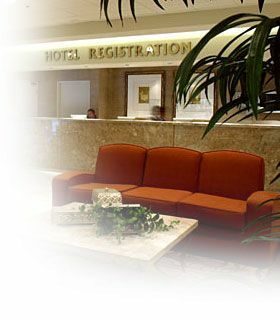 In a bustling place like Las Vegas, the best accommodations are often those in quiet hotels, just off the strip. This way you're still close to the action without being overwhelmed. This is true with every stay at Royal Resort near the Las Vegas Convention Center, behind the Wynn hotel. 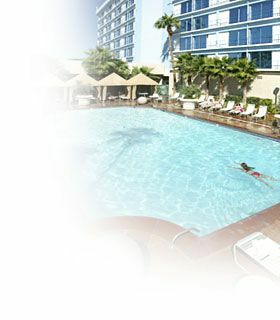 You'll love basking on the outdoor pool deck as you watch palm trees gently sway in the breeze when you buy one of these Las Vegas timeshares for sale. Pool cabanas let you experience glorious outdoor relaxation. Once you're rejuvenated, take advantage of Royal Resort amenities like the fitness center, Barrymore Restaurant, the bar and lounge area, a convenient 24 hour front desk, and a full-time concierge for tickets to all the best Las Vegas shows and attractions. You'll quickly find out why Las Vegas is world-renowned as an entertainment lover's paradise. Whether you choose a suite with a king size bed, accommodations with two queen size beds, or a larger one bedroom executive suite, everyone will love the air-conditioned comfort, a refrigerator, cable and satellite TV, flat screen televisions, an iron and ironing board, alarm clock, towels and linens, plus coffee and tea maker. Microwaves are also found in some timeshare units. Laundry facilities add extra convenience with your stay at Royal Resort, and everyone will love having Wi-Fi to keep in touch. All the stops are pulled out to see that your stay is totally comfortable and unforgettable when you choose these Las Vegas timeshares for sale. With 24 hour security, you can relax knowing that you're in safe quarters. 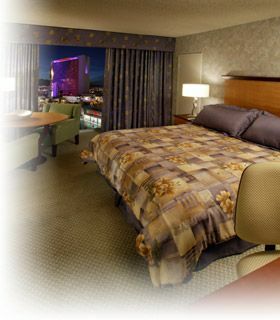 Las Vegas is known for exciting entertainment, nightlife, and glorious desert surroundings. This makes sightseeing tours to places like the Grand Canyon, Hoover Dam and Red Rock Canyon essential experiences. World class shopping and restaurants keep everyone entertained and well fed. Close to the Royal Resort, you'll find attractions like the Mob Museum, Neon Museum and interesting wedding chapels. Shark Reef at Mandalay Bay and the Bellagio Fountains and the Conservatory at Bellagio are also worthwhile ventures. Las Vegas provides cosmopolitan, unforgettable getaways! Contact Royal Resort Specialist Today!